Once you have completed the form, please return to Olivia Scammell. If for any reason you’d like to discuss your lighting further, please call 023 9285 7520. 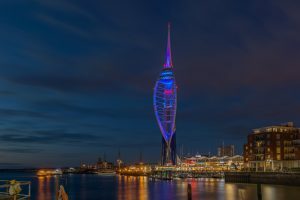 Please note that Emirates Spinnaker Tower will not light for political figures and campaigns.